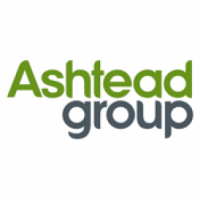 Stock in Ashtead Group plc found using EPIC: LON:AHT has declined -2.91% or -57.5 points during today’s session so far. Investors were not positive throughout the session. The periods high has reached 1963 dropping as low as 1897.5. The number of shares traded by this point in time totalled 592,906 whilst the daily average number of shares exchanged is just 1,575,622. The 52 week high is 2461 around 484 points different to the previous business close and a 52 week low sitting at 1572.5 a difference of some 404.5 points. Ashtead Group plc now has a 20 SMA of 2038.3 and the 50 day moving average of 1949.5. This puts the market capitalisation now at £9,063.14m at the time of this report. The share price is in GBX. Mcap is measured in GBP. This article was written with the last trade for Ashtead Group plc being recorded at Friday, March 8, 2019 at 12:04:21 PM GMT with the stock price trading at 1919.5 GBX. The stock price for International Consolidated Airlns Grp SA company symbol: LON:IAG has decreased -1.59% or -8.8 points in today’s trading session so far. Traders were not positive during this period. Range high for the period has seen 553 dipping to 544. Volume total for shares traded at this point reached 2,166,655 whilst the average number of shares exchanged is 9,853,280. The 52 week high is 727 around 172.8 points in difference to the previous days close of business and a 52 week low sitting at 544 making a difference of 10.2 points. International Consolidated Airlns Grp SA has a 20 SMA of 636.28 and a 50 day moving average now at 632.42. This puts the market cap at £10,816.98m at the time of this report. The share price is in Great British pence. Mcap is measured in GBP. This article was written with the last trade for International Consolidated Airlns Grp SA being recorded at Friday, March 8, 2019 at 12:04:29 PM GMT with the stock price trading at 545.4 GBX. Shares of Just Eat PLC EPIC code: LON:JE has stepped down -1.57% or -12 points during today’s session so far. Traders have not remained optimistic while the stock has been in play. The period high was 767.8 and hitting a low of 750.8. The total volume of shares exchanged so far has reached 546,497 whilst the daily average number of shares exchanged is just 3,099,409. The 52 week high for the shares is 890.8 which comes in at 124.4 points different to the previous business close and a 52 week low sitting at 519.2 a difference of some 247.2 points. Just Eat PLC now has a 20 SMA of 745.11 and the 50 day moving average now of 698.16. This puts the market cap at £5,138.75m at the time of this report. The stock is traded in GBX. Mcap is measured in GBP. This article was written with the last trade for Just Eat PLC being recorded at Friday, March 8, 2019 at 12:04:17 PM GMT with the stock price trading at 754.4 GBX. Shares in MONDI/PAR VTG FPD 0.2 ticker code: LON:MNDI has moved down -1.84% or -33 points throughout the session so far. Market sellers were far from a positive bunch throughout the trading session. The periods high figure was 1781.5 and a low of 1752. The total volume of shares exchanged through this period comes to 232,107 with the daily average at 1,929,315. The 52 week high is 2250 equating to 460 points in difference on the previous days close and a 52 week low being 1557.5 is a variance of 232.5 points. MONDI/PAR VTG FPD 0.2 has a 20 day moving average of 1866.08 and now the 50 day moving average of 1827.27. The current market cap is £8,527.70m at the time of this report. The currency for this stock is GBX. Market cap is measured in GBP. This article was written with the last trade for MONDI/PAR VTG FPD 0.2 being recorded at Friday, March 8, 2019 at 12:04:05 PM GMT with the stock price trading at 1757 GBX. Click AHT IAG JE MNDI for the full archive.